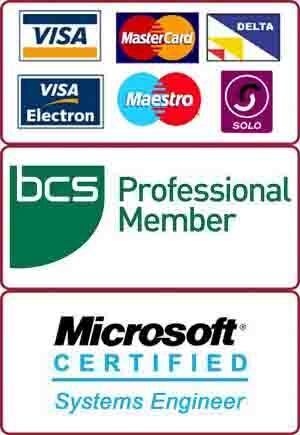 In Kingston Upon Thames, we are sure we cannot be beaten on price and quality of our laptop screen replacement service. We replace LCD/LED screens for all major laptops including Macbook Air, Macbook Pro, Notebooks, Workstations and Ultra-books. We keep all major laptop screens and can offer you a same day screen replacement service (depending on stock) in Kingston Upon Thames. Our diagnosis is free of charge and we also offer a No Fix – No Charge guarantee. We got a client’s Sony Vaio laptop from Kingston Upon Thames with few dead pixels. The client was a graphics designer and those dead pixels were very annoying to her. She also wanted us to replace the old glossy LCD screen with a matte type as she was not comfortable with reflections from lights etc. We had the matte-type screen in stock as well. We replaced the laptop screen very same day for the client from Kingston Upon Thames. The client was very impressed with our price and service and was keen to recommend her friends from Kingston Upon Thames.